The Danish Championships will be played in Odense. 88 players participate in the five events. Jonathan GROTH can win his third title in a row. 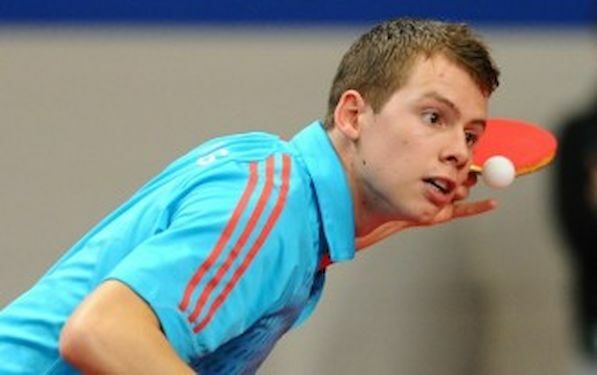 He is top seeded together with Kasper STERNBERG in the Men´s singles. Mie SKOV, nine times champion makes a come back and participates even she is pregnant. Last year Pernille AGERHOLM won in Mie Skovs absence. For the first time in 30 years Allan BENTSEN does not participate due to an Achilles injury. Allan BENTSEN has won 50 Danish championships titles. In men’s double Kasper STERNBERG and Mikkel HINDERSSON are favourites. The champion from last year the 18 year old Claus Schou Nielsen has replaced Allan BENTSEN with another veteran Finn TUGWELL. Mie SKOV and Stefanie CHRISTENSEN are top seeded in women’s double together with the champions from last year Pernille AGERHOLM and SØNDERGAARD. Pernille AGERHOLM and Morten HYRUP have won mixed doubles the last two years and they are top seeded with Stefanie CHRISTENSEN and Kasper STERNBERG.